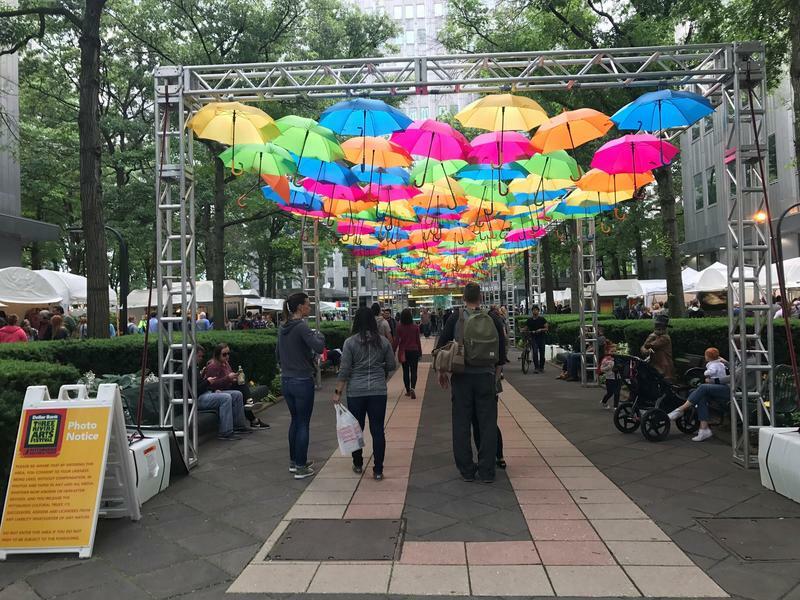 Umbrellas hang above a walkway in Gateway Center, downtown, as part of an art installation at the Three Rivers Art Festival on Tuesday, June 6, 2017. Pittsburgh's arts and culture community spends nearly double what most other similarly sized cities do to encourage a robust artistic community around the Steel City, according to a report released this week by the Greater Pittsburgh Arts Council. The group's research estimated local organizations and audiences spent more than $1 billion fueling an annual economic impact of almost $2.4 billion, more than 32,000 full-time jobs and as much as $641 million toward those employees' household incomes. The report, called "From Pointe Shoes to Pierogies," is a nod to the various items $641 million can buy. It says the $115 million in tax revenue generated by Allegheny County's arts and culture could pay a year's salary for 2,061 public employees, making the arts a source of job creation and retention. The report ranks Pittsburgh first among similarly sized cities like Baltimore, Minneapolis and Portland in in jobs, household income and tax revenues generated by the arts. David Pankratz, Research and Policy Director for the Greater Pittsburgh Arts Council, said 71 percent of public funding for the arts comes from the Allegheny Regional Asset District, which funds local organizations with proceeds from one-half of the 1 percent Allegheny County Sales and Use Tax. He said this amount is unusually large for a city of its size. "Our arts organizations are working hard to increase attendance and ways to engage audiences," Pankratz said. "And our public funding helps us make a commitment to equity and accessibility." Expanding access to arts and culture in Pittsburgh has been a goal for the council, and its report shows 59 percent of organizations in the area have created plans to increase accessibility, equity and inclusion, such as planning more free events. Allegheny County Executive Rich Fitzgerald said Pittsburgh's robust arts community will be stressed as the city woos Amazon's second headquarters. Jason Fulvi, president and CEO of Visit Pittsburgh, said the city's cultural institutions are a major driver of tourism. "We're very lucky in Pittsburgh that [we don't have] just one 'ultimate' attraction," he said. "We have hundreds." Fulvi said he believes Pittsburgh's affordability makes it increasingly popular for international travelers, and credits new offerings from Pittsburgh International Airport for some of the growth. "Once you get Downtown, everything is so accessible," he said. "So if you're coming for the [Andy Warhol Museum], you're probably going to look at the Carnegies, you're probably going to go to a performance in the Cultural District, and you can do all of these things in a weekend where you might not be able to do that in another city." 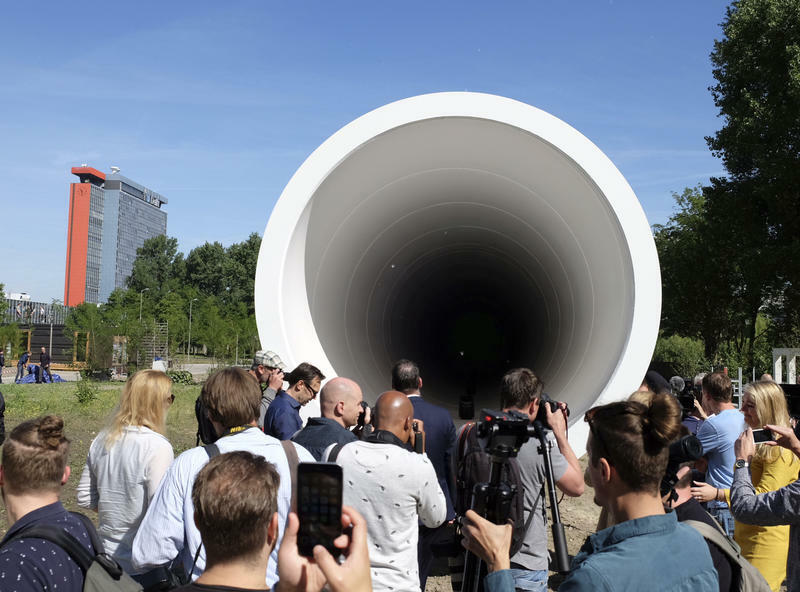 A route linking Chicago, Columbus and Pittsburgh is a semi-finalist in the Hyperloop One Global Challenge, a competition to plan and build a new high-speed transit system to move people and goods. 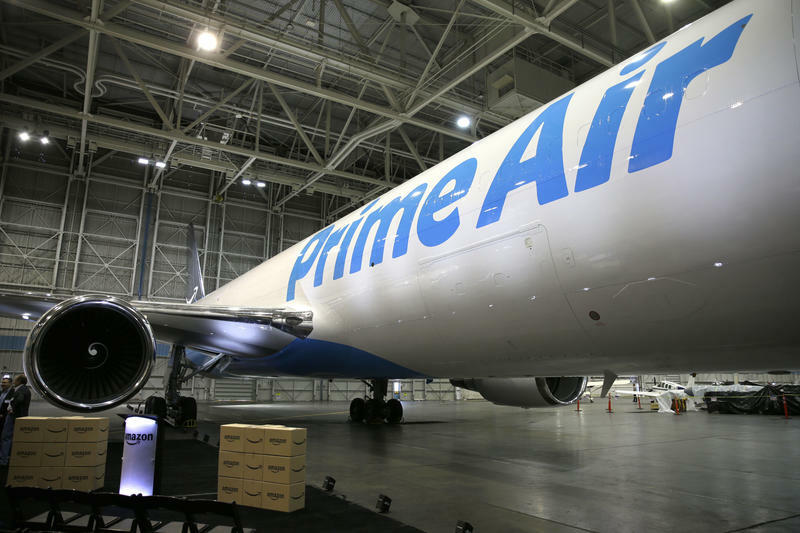 Pittsburgh's proposal to become the location of Amazon's second headquarters includes a full-time team of up to 20 people, Mayor Bill Peduto said Monday. Ted Zellers has knocked on doors from the West End to the North Side to Polish Hill and beyond, all to ask people if he can have a look in their basements. The Lawrenceville resident and amateur photographer is compiling photographs of those lone basement toilets. He said he’s hoping to one day share them in some kind of coffee table book, or eventually a gallery show.